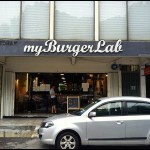 myBurgerLab is a famous burger chain located next to A’han Nyonya Kuih at Sea Park, Petaling Jaya. 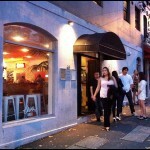 I’ve been hearing and reading many good reviews about this place. 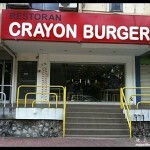 I’ve been wanting to check this burger place out for a long long time but photos of long queues somehow turned me off. This burger chain has a cool and modern interior. 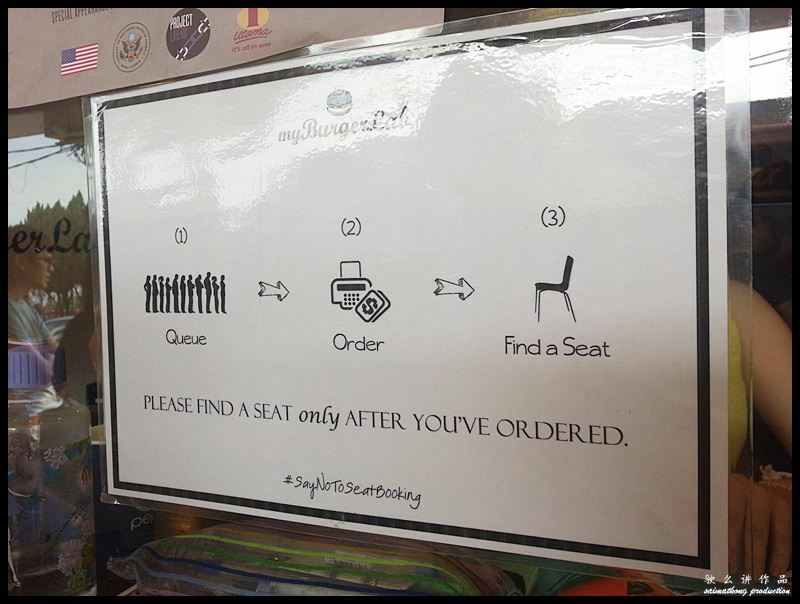 You can opt to have your burger there or take it away. 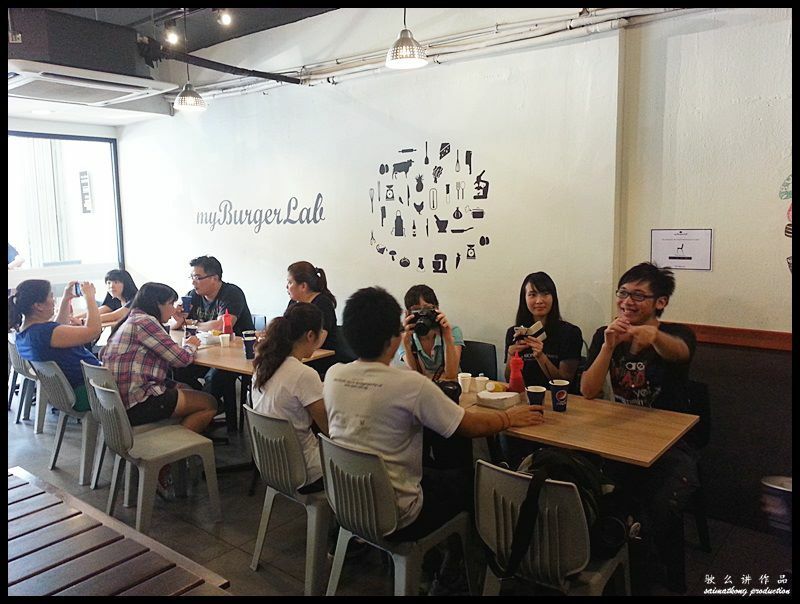 myBurgerLab’s Wall of Fame with photos of happy faces with their burgers. 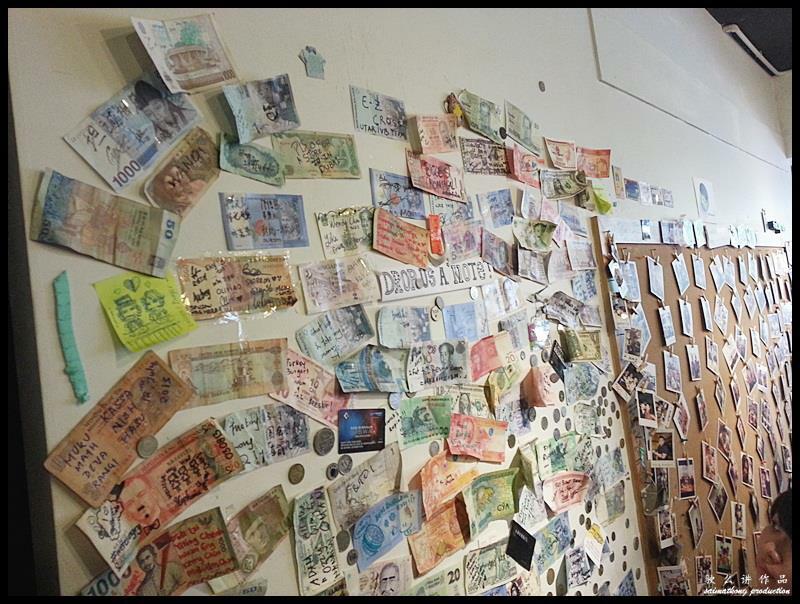 This large bulletin board beside the myBurgerLab’s Wall of Fame is full with scribbled currency notes from different countries. 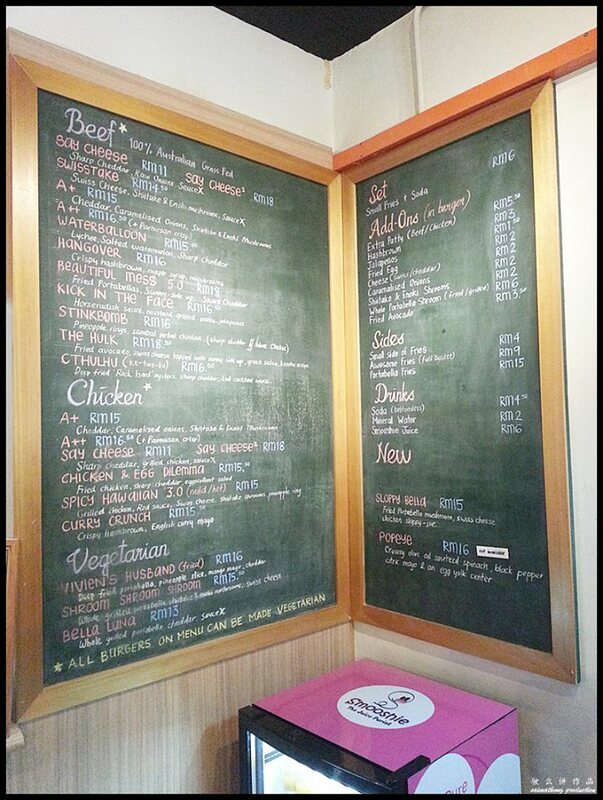 myBurgerLab’s menu is written on a chalkboard in front next to the cashier counter. 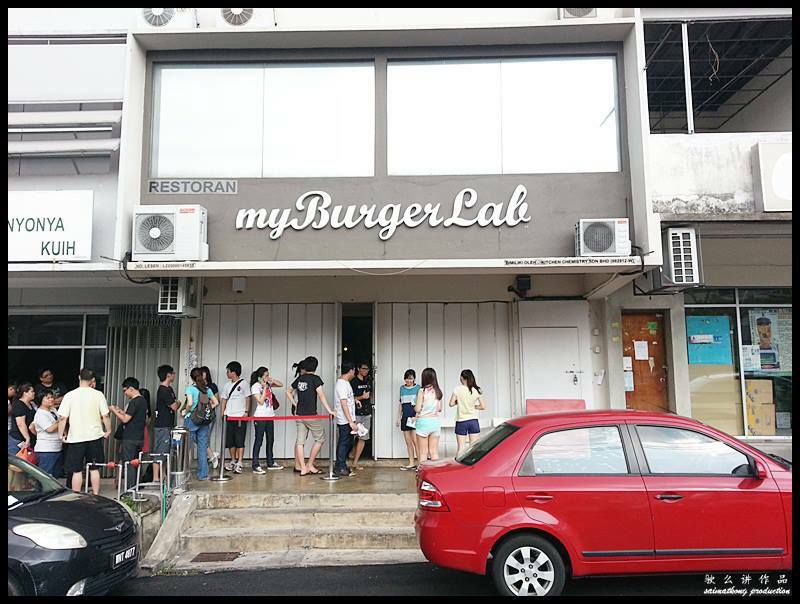 Basically, myBurgerLab offers a wide variety of chicken and beef burgers with unique names like Hangover, Waterballoon, Kick in the Face, Stinkbomb and etc. They also have a few selection of vegan burger for vegetarians. After waited for about half an hour outside and another half an hour inside, finally….. 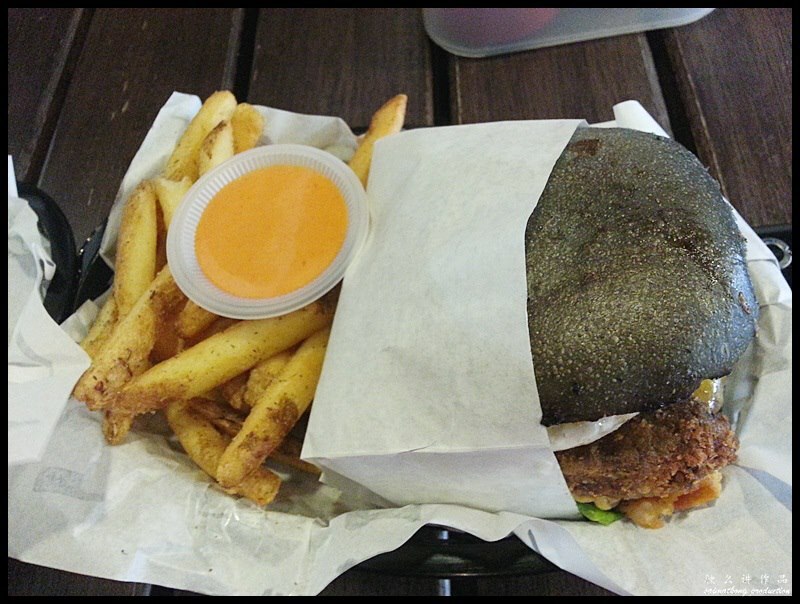 This super huge burger (The Hulk Burger) consists of a thick beef patty, fried avocado, swiss cheese topped with sunny-side up, green salsa, Kombu Mayo sauce, lettuce and cherry tomatoes. 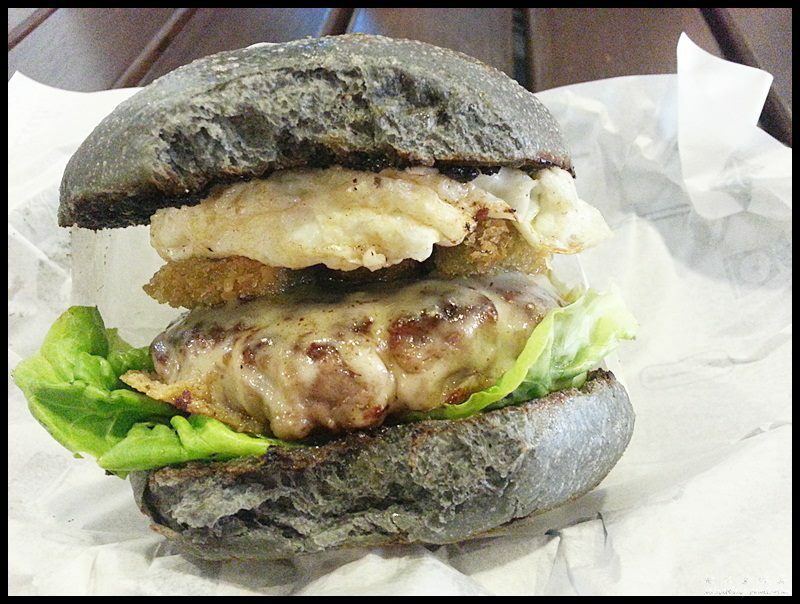 myBurgerLab uses only charcoal bun for their burgers so all burgers are black in colour. For those who doesn’t like charcoal, worry not as there’s no charcoal taste at all. 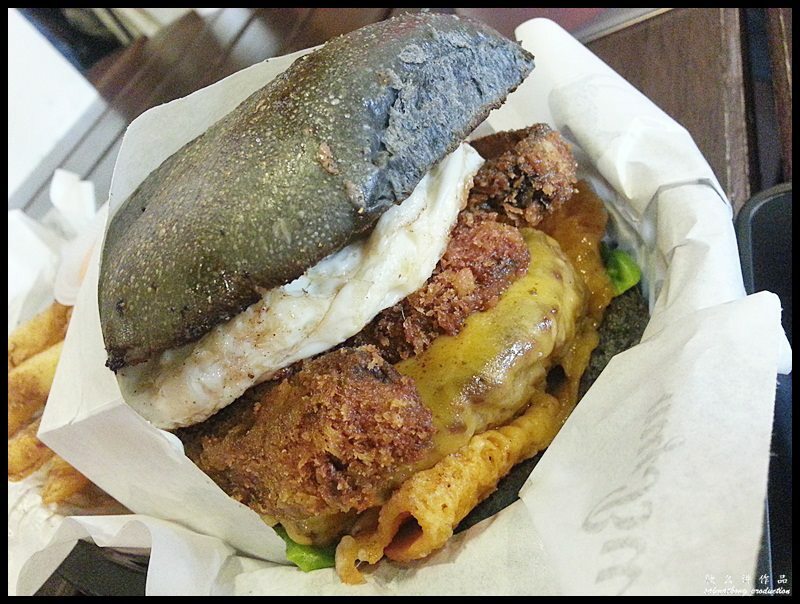 This huge burger (Beautiful Mess 5.0 Burger) consists of a thick beef patty, breaded portobello mushroom, sunny-side up, sliced cheddar cheese, lettuce and cherry tomatoes. Just as the name suggests, “Beautiful Mess” is a pretty messy burger and it can get quite messy to eat. We top up an additional RM6 to make this ‘Beautiful Mess’ a “set” for a bottomless soda and awesome fries. The awesome fries was served with some chili mayo sauce which taste really awesome. 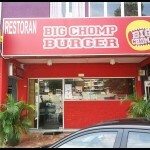 Verdict: This is a good place with great burgers! 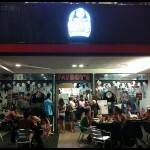 A totally cool place to have delicious burgers plus the people are very nice and friendly. 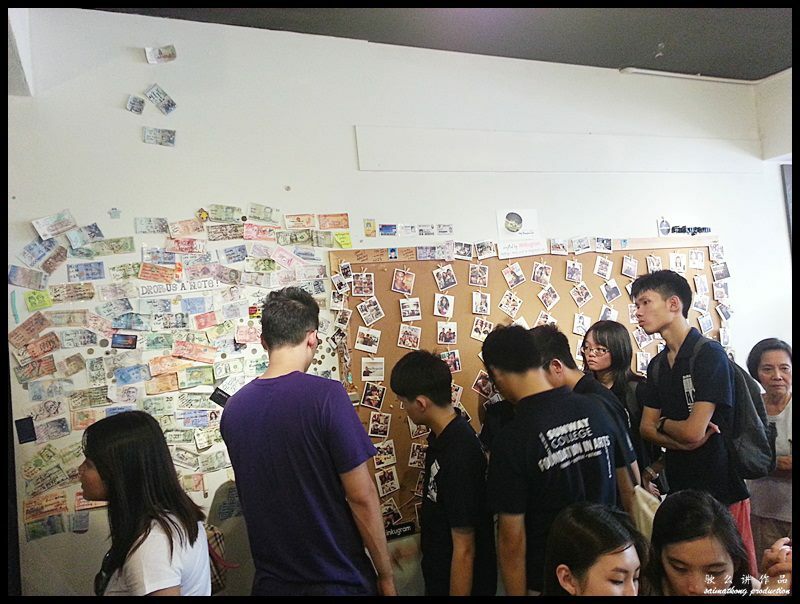 If you don’t mind the long queue (you could end up queuing for hours) then do come here and have a taste of their wacky burgers! It’s worth it!!! Oh btw, did I mention that you will sweat like mad and smell like grilled burgers when you leave that place? 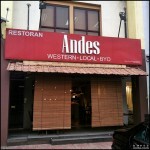 Address: 14, Jalan 21/22, SeaPark, 46300 PJ, Selangor. Opening Hours: Open everyday except the 1st Mondays of the month.